We are not sure how on earth this slipped through the vetting process of the Archdiocese of Washington, but it is quite refreshing to see. Congratulations to Auxiliary Bishop Michael Fisher! 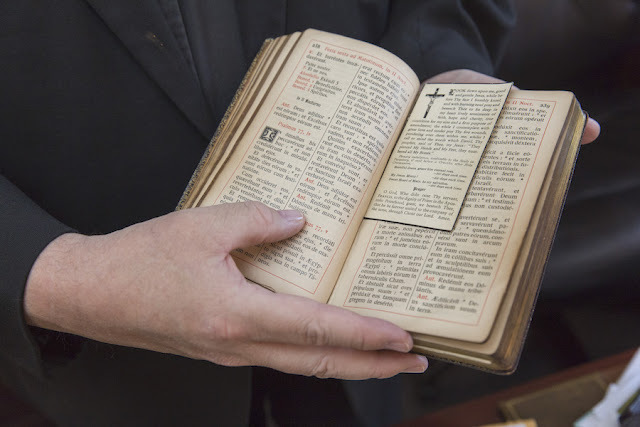 When new Washington Auxiliary Bishop Michael Fisher prays during the course of the day, he often holds in his hand and uses an old breviary once owned by his great uncle, Father Cornelius Buckley, who was a priest of the Archdiocese of Hartford, Connecticut. “He must have smoked cigars,” he said of the priest, whom he never met. Some of the pages are stained with tar, he explained. Father Buckley was the older brother of the new bishop’s maternal grandfather, James Buckley, and was the uncle of the bishop’s mother, Margo Fisher. 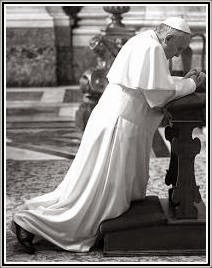 Bishop Fisher also sometimes prays from breviaries once owned by Father Jack Murray, a family friend who was a priest of the Archdiocese of New York. Before becoming a priest, Father Murray was a fighter pilot in World War II. As a young priest, then-Father Fisher got to know Father Murray and sometimes took vacations with him, including a trip to Ireland. He celebrated the Funeral Mass for Father Murray after his death in 2000. Another early mentor was Msgr. Thomas Dade, the longtime pastor of St. Bernard Parish in Riverdale. For 11 years from when he attended and earned a degree at the University of Maryland and worked as an accountant before entering the seminary, Bishop Fisher lived with his grandmother, Margarette Buckley, who was a founding member of St. Bernard’s Parish. “He was always a name (talked about) in the house. He’d come to visit my grandmother,” said Bishop Fisher, who noted that the veteran priest interviewed him in preparation for his entering the seminary. Msgr. Dade was the founding director of the Archdiocese of Washington’s Catholic Youth Organization, which began in 1945, and five years later, he became pastor of St. Bernard Parish, where he led efforts to build the parish’s school and its social hall. From 1934 to 1959, he also served as chaplain for Washington’s police and fire departments. In 1994, Msgr. Dade, then the pastor emeritus of St. Bernard’s, celebrated the 60th anniversary of his priesthood at a celebration at the parish. He died later that year. 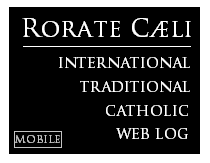 For the article from the current print edition of the Catholic Standard, the newspaper of the Archdiocese of Washington, click here.